LEGO Bricktober Minifig Packs coming! Each of the LEGO Bricktober minifig-packs includes four exclusive characters. The #5005254 LEGO Harry Potter Minifig Pack comes with Madam Rolanda Hooch, Professor Horace Slughorn, Dolores Umbridge, and Boggart Snape. The #5005255 LEGO Jurassic World Minifig Pack comes with Ian Malcolm, Claire Dearing, Owen Grady, and a small velociraptor. 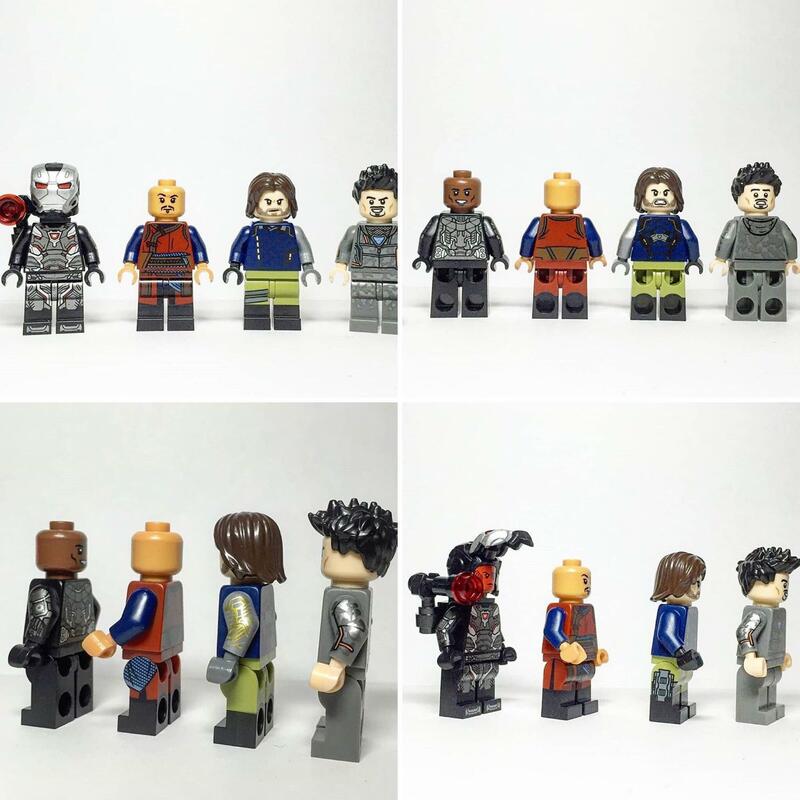 The #5005256 LEGO Marvel Super Heroes Minifig Pack comes with War Machine, Wong, Tony Stark with the Mark 50 arc reactor, and White Wolf/Bucky. And, the #5005257 LEGO Ninjago Minifig Pack comes with four characters from the LEGO Ninjago: Sons of Garmadon episodes. LEGO fans in the US were disappointed that they won’t be able to collect these unique minifigures, however, LEGO conformed via Twitter that at least the #5005254 LEGO Harry Potter Minifig Pack will be available at Barnes & Noble. It is also likely that the other packs will also be distributed via Barnes and Noble, or perhaps other retailers, and even LEGO directly. LEGO Bricktober sets are usually available one set at a time at each week of October with a minimum purchase. Toys’R’Us stores that are still open will follow similar rules this year, although the sets will be available earlier than usual. The LEGO Harry Potter Pack is listed for August 28 – September 2, the LEGO Jurassic World Pack for September 3–9, the LEGO Marvel Super Heroes Pack for September 10-16, and the LEGO Ninjago Pack for September 17-23. Barnes & Noble and other possible retailers in the in the US may have a similar arrangement, or it could have a different release schedule. So, the good news is that LEGO fans in the US should have access to these exclusive minifigures, and the bad news is that we may have to hunt for them at obscure places. If you are interested to get them, it’s a good idea to start searching for them next month. I’m sure LEGO fan forums and news sites will also report on where to find the packs. Oh, wow! These are great looking minifigs! I hope they will be available in the US! Must get the Harry Potter figures! I hope we can find them! Hm… so sorry to hear about your experience! Hopefully, there will be a wider release in the next couple of months. Hang in there! Are there close ups of the Super Heroes and the Ninjago figures? Nice find! They do look good. They’re available in the USA at Barnes & Noble soon. Lego confirmed via Twitter. Previous post: Online LEGO Shop in five more countries!